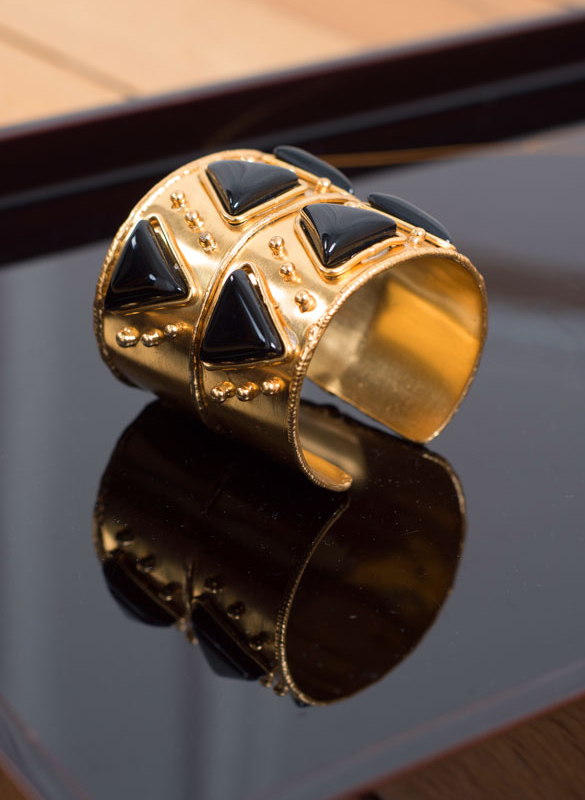 SYLVIA TOLEDANO Byzance cuff. This jewel is an iconic piece from Toledano. 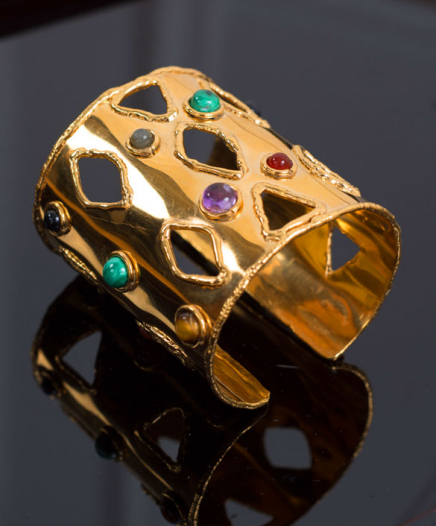 Made in gold-plated brass with a multitude of semi-precious stones such as Turquoise, Carnelian or Black Onyx, this cuff is perfect to sublimate your look. Rent it to accessorise your outfits in a chic and colorful way.